Ever since I got to play Splatoon 2 on my Nintendo Switch I have liking on the Splatoon characters. Never I imagine it will be build by LEGO and LEGO7 has did it! If you have not play the game before you would not really know why fans are crazy about them. This is the Inklings girl in blue standing on a platform during the match. 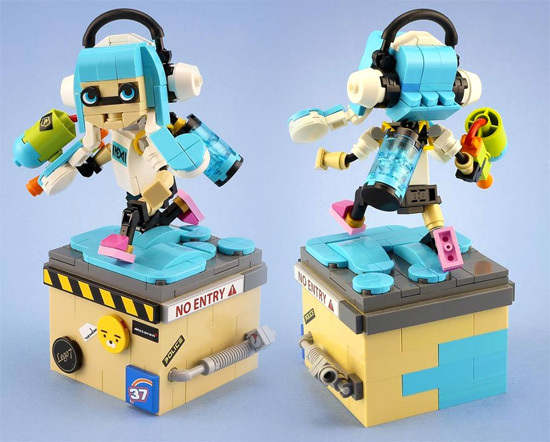 I am impressed with the details like the headphone, the ink gun and even having blue ink on her feet! 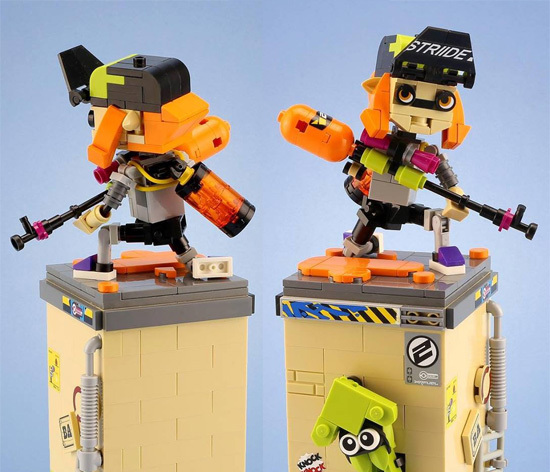 Next another Inklings girl with a cap with decal on it! She is suppose to arm with long range sniper gun. 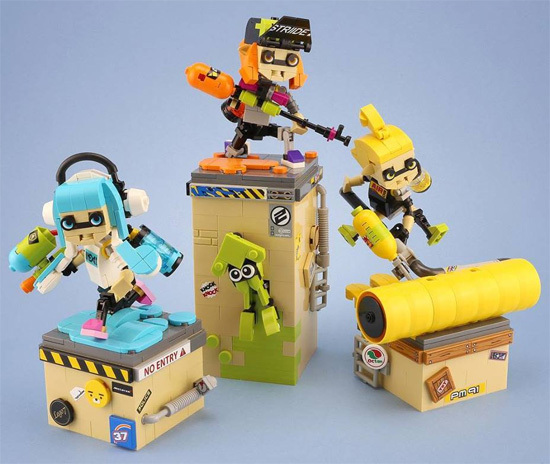 The yellow Inklings boy with one of the popular weapon in the game, The roller which cover more floor space to win the game. They can put together as a display piece, Even the game is popular, there isn't much toys on it as it is pretty nichie. Even thought Bandai and Good smile did the toys. You can view more in details over at LEGO7 page below! I really love this creation! Well done! !